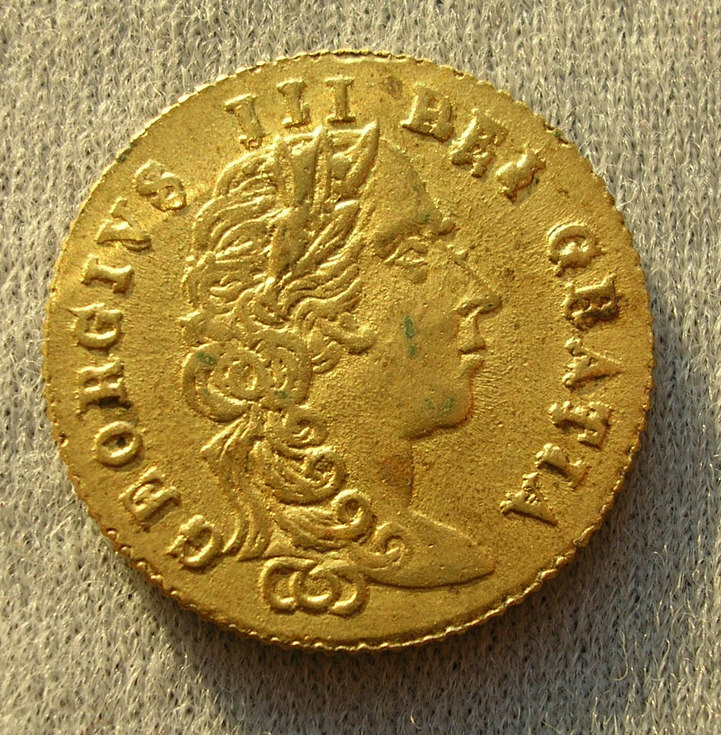 Brass game token made as a facsimile of a George III golden half guinea, with IN MEMORY OF THE GOOD OLD DAYS 1788 on the reverse. Used as scoring token for card games etc. Found in the wall of a house at Rogart when it was being demolished.